A group of disabled Californians and their advocates are asking a judge to order shared ride scooter companies to remove their scooters from San Diego’s sidewalks and return money they earned by conducting business on taxpayer-funded walkways. A man born with with no arms and one leg, a blind man, a male amputee, and a man with progressed Parkinson’s disease are plaintiffs in a federal case seeking class action certification against startup companies Bird, Lime, Razor, and the city of San Diego. The plaintiffs say defendants are denying disabled people their right to travel freely and safely on public ways. The action, filed in connection with disability advocacy group, Disability Rights California (DRC) and the law firm Neil Dymott, alleges that the defendants are violating the Americans with Disabilities Act, California’s Municipal Code, and other laws, by failing to maintain public sidewalks, curb ramps, crosswalks, and transit stops in a way that is accessible for people with visual and mobility impairments. Bird and Lime and scooter manufacturers are already facing lawsuits filed by non-disabled Californians who claim they sustained personal injuries and property damage from the company’s equipment and users. 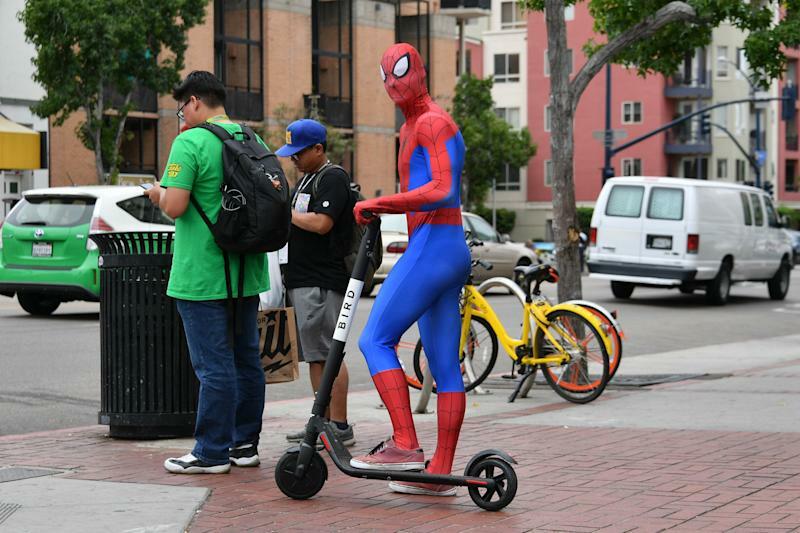 “When dockless scooters are left in the middle of the sidewalk and other rights of way, at points of ingress and egress, they block off access to the public rights of way,” the San Diego complaint states. “People with disabilities who wish to travel in the City using the City’s walkways are being forced to either put their physical safety at risk or just stay home,” the complaint says. According to Menasche, as many as 150,000 disabled San Diego residents may be impacted by scooters along public walkways. Given the number of people potentially impacted by the scooters, Menasche says she thinks there’s a good chance the court will grant class certification. “I don’t like to predict but I think it’s pretty good,” she said. The plaintiffs are asking the court to issue an order that would stop scooter companies from continuing to operate on San Diego’s sidewalks, crosswalks, curb ramps, transit stops, pedestrian crossing,s and other walkways. The complaint also asks that Bird, Lime, and Razor be disgorged of any money obtained as a result of wrongful or illegal conduct. In the eight-count complaint, plaintiffs claim the City of San Diego is in violation of Title II of the ADA, which prohibits municipalities from excluding disabled individuals from participating in or benefitting from municipal services, programs, or activities. It also alleges the City is in violation of The Rehabilitation Act, which prohibits similar discrimination by municipalities that accept federal funding. As for the scooter defendants, plaintiffs claim the companies are violating Title III of the ADA, which protects against discrimination by private companies in places of public accommodation. Plaintiffs argue that scooter companies effectively turned public walkways into private retail stores by operating their businesses on public land, and in doing so are required to remove barriers to access under the Act. 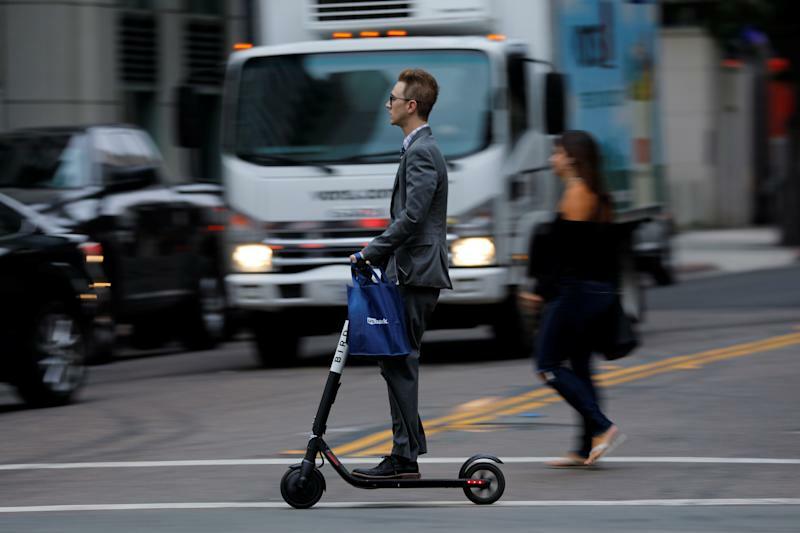 The lawsuit also claims that scooter defendants are in violation of California State Code and San Diego’s Municipal Code. “California Civil Code § 54(a) provides that “[i]ndividuals with disabilities or medical conditions have the same right as the general public to the full and free use of …sidewalks, walkways… and other public places,” the complaint states. Yahoo Finance requested an interview and statement from San Diego’s City Attorney’s Office and did not receive a response. Bird, Lime, and Razor also could not immediately be reached for comment. Pat McConahay, Communications Director for Disability Rights California (DRC), says the organization is part of a federally mandated network of advocacy groups that exist in each state. “Every state has what they call a P&A (Protection and Advocacy), and we are the one for California,” McConahay said. While advocacy organizations like DRC are required by law, McConahay explained that DRC also brings legal actions where it finds it appropriate. “We are not affiliated with our state government, and while we have contracts with the state we also will file lawsuits against states or governments that are not providing the services that are needed,” McConahay said.